Larry Denton has been named president of fuel-line maker Nobel Automotive Group. Automotive veteran Larry Denton is leaving his consulting gig to become president of fuel-line maker Nobel Automotive Group. Denton, 60, has been working as an independent consultant since 2008, when he left the post of Dura Automotive Systems Inc. CEO shortly after steering the maker of door modules and cables through a 20-month bankruptcy restructuring. Denton hopes to branch out from Nobel's core business, making lines that run between the fuel tank and the injector, to include brake lines and potentially upstream products such as fuel gauges. He also wants to diversify Nobel beyond its core customer base, which includes PSA Peugeot Citroen, Renault SA and Ford Motor Co.
Nobel, which has its North American headquarters in suburban Detroit, is a French unit of Turkish conglomerate Orhan Holding A.S.
Orhan CEO Murat Orhan had been running Nobel prior to Denton's appointment. Nobel, created in 2007 when Orhan acquired its assets from Dana Holding Corp., has $189 million in revenue, 1,535 employees and eight manufacturing plants across North America, Europe and Asia, according to its Web site. 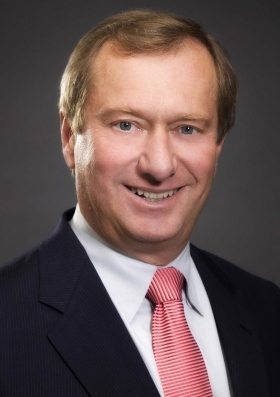 Before joining Dura in 2003, Denton was president of Dow Automotive for seven years. Before that, he spent 24 years at Ford in a variety of management positions.